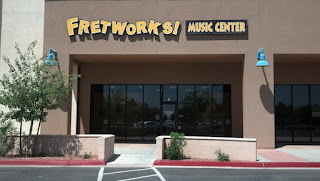 Fretwork Music Center in Yuma is southern Arizona's music resource. They offer a wide range of musical equipment and accessories, as well as great music lessons. They also have a great inventory on hand of guitars, amps, PA equipment and much more. Additionally, Fretworks offers repairs and ordering direct from the manufacturers, for just the instrument you want, just the way you want it. And for those of you on a budget, or as Blues Against Hunger has done on many occasions, it to order an item over the phone or by email while traveling internationally and put it on their 90-day layaway. The just pick it up, when we get back to Arizona. Fretworks! Music Center has been serving musicians in Yuma County since 2012. Whether a local resident, stationed in the military, or just visiting for the winter, we're here to assist you with everything musical. Stop in today! Bluffton Fretworks! 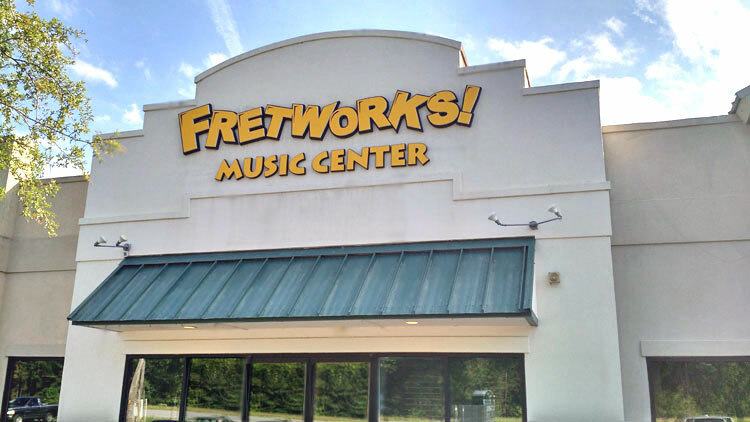 Music Center first opened its doors in the heart of the Lowcountry in the summer of 2015, providing every service you'd expect from a full-line music store including sales, rentals, repairs, and lessons. Stop in and see them! Click here for band instrument rentals.